Just like we change from a baby into an adult and to an old person, butterflies do have their own life cycle. But it is slightly different. They start from eggs, and change to caterpillars. Then, they enter a stage called chrysalis. Finally, they change to the beautiful butterflies that we love. 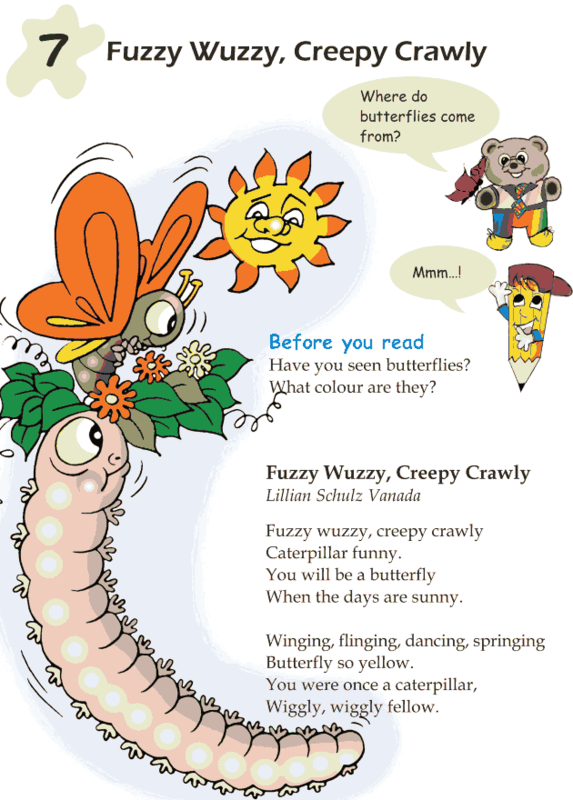 This poem is in honor of those fuzzy wuzzy creepy crawly caterpillars that are soon going to turn into beautiful butterflies.